This vehicle can sleep up to 5 campers thanks to the extra room in the high top roof, which equally makes for comfortable headroom on board. These compact vehicles are easy to maneuver and make a practical choice for 2-person camping trips. All the vans have reliable and fuel-efficient diesel motors. This pick-up with a cabover has space for 2 and is the right choice for couples discovering South Africa. The 4-wheel drive let's you get off the beaten path. The cabover features a large double bed for 2. There is also a seating area for eating and spending time together. The kitchen has a microwave, a 2-burner stove and a refrigerator. The bathroom is equipped with a shower, a toilet and a sink. This RV is the right choice for couples discovering Africa. With 4-wheel drive, a powerful diesel engine and air-conditioning, this motorhome is well equipped for off-road driving. The pop-top roof has 2 sleeping spaces. Sleeping mats and bags are provided. There is a refrigerator and a gas cooker available for preparing meals. A camping set and dishes are also available. Furthermore, the RV is equipped with a camping toilet, a sink and a shower. 4-wheel drive, air-conditioning and a powerful diesel engine ensure a comfortable ride even on long or off-road journeys. 2 beds each can be found in 2 tents. They can be easily set up in a few steps. 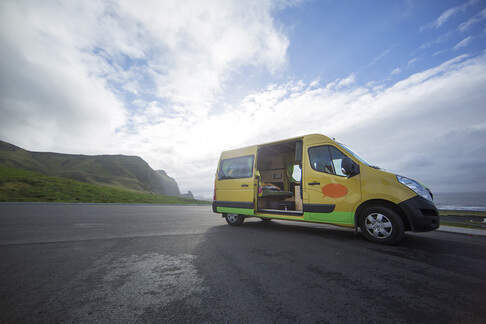 The vehicle comes equipped with a set of sleeping bags and camping mats. Cooking facilities and a gas cooker are available. The RV includes a camping shower, toilet and sink. 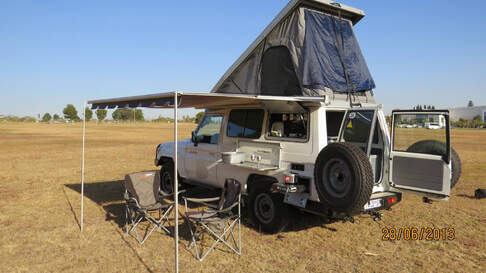 RV rental in South Africa is something that's relatively common among the locals. Renting an RV to head out for a weekend of discovery in one of Africa's larger countries is right up the alley for these adventurous souls. Visitors to South Africa come for a plethora of reasons ranging from sports, to heritage, to wildlife. A few years ago, visiting this country meant having to either put money aside for a room or pitch a tent. 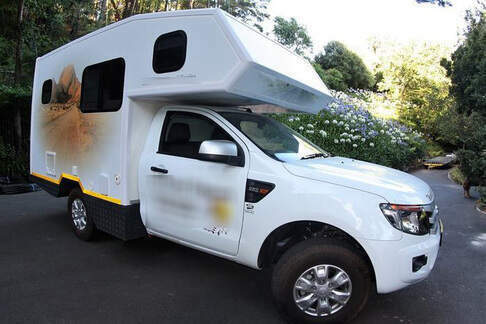 The modern tradeoff to that is an RV rental in South Africa. 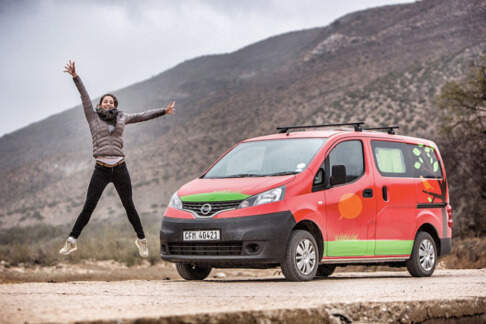 Campanda has established a presence in South Africa and offer to clients a wide variety of campers, ensuring that there's one to suit every need our customers might have. Combine that with the Campanda reputation for world class customer service and it's easy to see why so many users decide to get an RV rental in South Africa. When choosing an RV rental in South Africa it is important to go for a type of vehicle that best suits your needs. If you intend to spend a lot of your journey on the roads in safe, paved areas, then it really isn't worth it to spend extra money on a four-wheel drive, a two-wheel drive does just fine. However, if you're one of those adventurous souls that loves to feel the thrill of off-roading and is likely to go anywhere even if there isn't an established road present, then you should spring for the four-wheel drive. There are abundant places in and around South Africa that give you full opportunity to experience a 4WD vehicle to its full potential. Because there are so many hidden gems off the roads, renting an RV with 4-wheel drive capability gives you a whole new level of independence. They might be slightly more expensive, but if you have places you want to see that are off the beaten path, this is very likely the best way to get to them. Road trippers that come to South Africa with the intention of exploring usually hit the Garden Route first, as it's one of the most popular and well-trafficked routes to visit. This 200-mile trek travels along the coastline and is likely to introduce you to a lot of sights and sounds that you've never seen and never even expected this country to have. It’s a real eye-opener to non-natives who visit. Slow driving along the route permits you to fully appreciate the wildlife that is abundant along the trail. The South Coast can enable you to catch a glimpse of some whales (if you're lucky) and passing through the Garden Route National Park gives you the chance to meet an elephant or two. All along the route are well-equipped camping grounds that offer you all the comforts of home on the road. Although most people associate the south of Europe with wine, South Africa has its own vineyards situated in the fertile valleys of the Cape Winelands. Hidden within the valleys of the surrounding mountains, the Winelands are dotted by sleepy villages and rolling fields of acre after acre of grapes. Visitors who are intrigued can follow the Wine Routes of the Cape to visit the vineyards and experience one of the best kept secrets of South Africa. Another stop for anyone who has an RV rental in South Africa is to check out the beaches of Durban. Sometimes compared to Miami's beaches, this coastline is far less crowded and provides a lot more prospects to go for a soak in the surf than Florida. All through the year, seasonal entertainment ensures that the beaches are never a dull place to be. It's really a breathtaking sight to look at the miles of golden, subtropical beaches that wander along Durban's North Coast and South Coast beaches. If you're more in the mood to see animals in their natural habitat, then the best place to visit would be the Kruger National Park. This park is the largest on the continent and is home to thousands of animal species. A trek through the park gives you the opportunity to come face to face with some of South Africa's indigenous wildlife and to see how they act in their own natural habitat. This is not a zoo and the feeling is quite different to observing these animals behind cages and protective glass. There's a lot more caution involved when meeting a gazelle face to face. If you've planned to have your RV rental in South Africa for their summer, it's advised that you book your camping grounds well in advance since they fill up quickly. If you prefer the wintertime for your road tripping, South Africa's winter is very mild and can even be considered warm. The nights tend to get very cool so it might be best to bring some cold weather protection for sleeping with at night. While a lot of people might think that South Africa is a place that is best left to adults, kids can have a great time when they visit. Things like the beach and the wildlife preserves are attractions that can be enjoyed by all ages. In fact, it's very likely that kids will appreciate the lack of enclosures on the wildlife preserves far more than their parents. Family friendly campsites are also a common sight so there's no need to worry that you won't find a campsite that will accommodate your family. If there's one thing you should have on your bucket list, it's having an RV rental in South Africa to explore all the things it has to offer. There are more things to discover in South Africa than a simple road trip will do justice. If you're going on your first trip, you need to plan properly so that you utilize your time effectively to see what you want to see. Let Campanda take care of the details regarding your RV rental. All you have to do is show up and claim it. We'll have it waiting there for you to go see what the southern tip of the African continent has to offer. 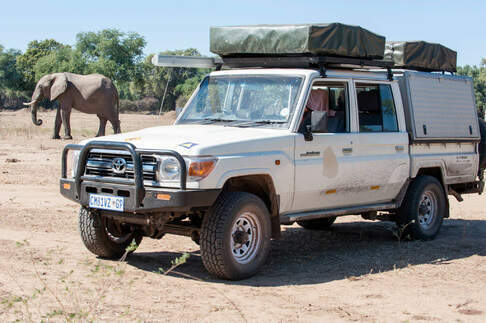 Also check out our Namibia RV rentals for more options.